Transrotor made in Bergisch Gladbach, Germany. 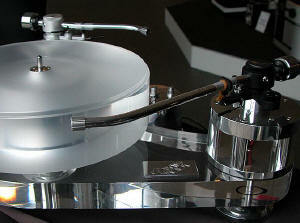 High-end and non compromise turntables designed and delicately hand crafted by Jochen Räke and his dedicated staff. Transrotor analog devices are simply stated nothing short of unique in high-end audio. 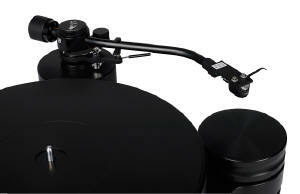 Transrotor designs have revolutionized the high-end turntable market. The high-performance quality standards set by Jochen Räke +30 years ago when Transrotor was given birth were unknown to analog audio and still are! Passion, determination, free usage and understanding of high-tech, search for excellence, high goals set, a strong believe and vision are just some of the vital ingredients that made Transrotor the leading manufacturer in high performance and high-end analog audio. Many have copied with time, but non have mastered! Transrotor products are all made by hand. Transrotor produces in custom and small series only. Transrotor Germany is a very small audio company compared to some. 8 weeks delivery time upon order is normal/standard at Transrotor because each and every product is created on demand or order. But the known delay is a very small price to pay for the high-tech elegant excellence received. The passion that lies within each Transrotor product is not only found in the actual product itself, it can also found and experienced in the dedication creating and maintaining each and every product that was given life by Transrotor. Every Transrotor analog device ever produced is welcomed by Transrotor Germany wholeheartedly for service if needed. And this was the case in good and bad financial times. Jochen Räke always let love and passion for his creations and respect to his clients play the lead as in service as in creating and not like so many audio companies do nowadays or have done: follow the money flow! The harmony found in Transrotor's graceful exterior, high quality used, selected materials and Transrotor renowned workmanship is continued in the interior of their analog devices. What you see and feel is what you hear: light, neutral and airy, Transrotor turntables reproducing all of the information that is stored in your analog records. From old to new vinyl, music rolls freely and so in extremely fine gradations, exactly drawn up from the production to reproduce the perfect tone pattern. Elegance means for Transrotor that your eyes and ears come entirely at their own expense. Transrotor ingenious magnetic drive and free magnetic drive bearing design (TMD and FMD) has yet again set demanding new standards in analog audio by Transrotor. Copyright © SOLID STATE AUDIO. All Transrotor products at Solid State Audio come with full factory warranty. Transrotor from dedicated specialist Solid State Audio.